Psyko's new Krypton PC gaming headset with 5.1 surround sound now replaces the discontinued Psyko 5.1 gaming headset and its set to improve on audio quality, removable mic mounting and reduce sound leakage. Paired with the new Psyko Krypton gaming headset is a Psyko Amplifier used to power and drive these huge headphones with fully adjustable bass and volume control. A neat little feature on the Kryptons allow you to easily talk with your buddies around you without having to remove the headset thanks to the side ear cup vents that pivot open and also let cool air flow in. The Krypton set will run you $149.99. 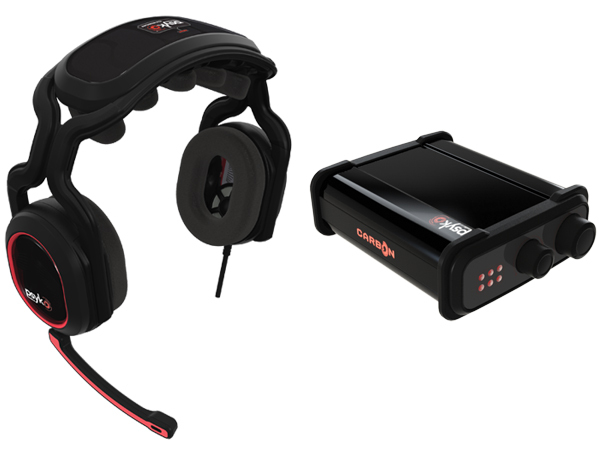 The Carbon gaming headset will set you back $199.99, and it too packs all the same features as the Krypton but adds small extras like gold plated connectors, braided tangle-free cable and more high-performance speakers. These headsets were designed specifically for gaming and pwning noobs with real 5.1 surround sound, sounds good to me. Both the Carbon and Krypton gaming headsets are available right now.